NEW! Quick-Change Finger Board System! Leave us an email address to receive periodic information! This tool is great for developing finger tendon/pulley strength for crimp grips. Most beginner climbers are advised and naturally inclined to start with open-hand grip (jugs and slopers) to develop pulling strength and avoid finger injuries. However, eventually the beginner climbers will progress and want to tackle routes or problems that have finger-busting crimp holds. Jumping straight to the hang board to strengthen the fingers is a recipe for disaster. Crimpwerker bridges this gap by allowing controlled loading of the finger connective tissue. It comes with a strong bungee cord and there are 2 different hold depths (adjustable by unscrewing the hex screws and turn the red piece around). Basically, you attach the cord to an anchor (I use a stair handrail) and start pulling. When 4 finger crimp becomes too easy, you can progress to 3, 2, or 1 finger crimp. You can also change the anchor point to work on different types of contact strength as well. The product is well-made; the red hold pieces have really nice texture and the black base plate is made of metal. The bungee might lose elasticity overtime, but you can easily replace it. I thought about making my own out of wood, but ended up purchasing the product after I tried it in the gym. It is a little pricey for what it is, but the concept is simply smart and the construction appears indestructible. It was made in Henderson, Nevada (my hometown) too! Product came packaged in a nice box with everything I ordered, CrimpWerker set, bungee cord with carabiners attached at each end and an extra carabiner, which I don’t believe was listed (http://i.imgur.com/CTjuYx6.jpg). I was very happy with the crimps themselves, very grippy and not too small for my fingers. The metal plate the crimps are attached to feels extremely solid. I bought a $5 door anchor to attach the bungee cord to and run through some of the exercises CrimpWerks has on their website. Door anchor and CrimpWerkers bungee set both held up through the first session and I was never concerned that anything was going to come flying off. The resistance the bungee cord provided was great as I could control how much I was straining my fingers. 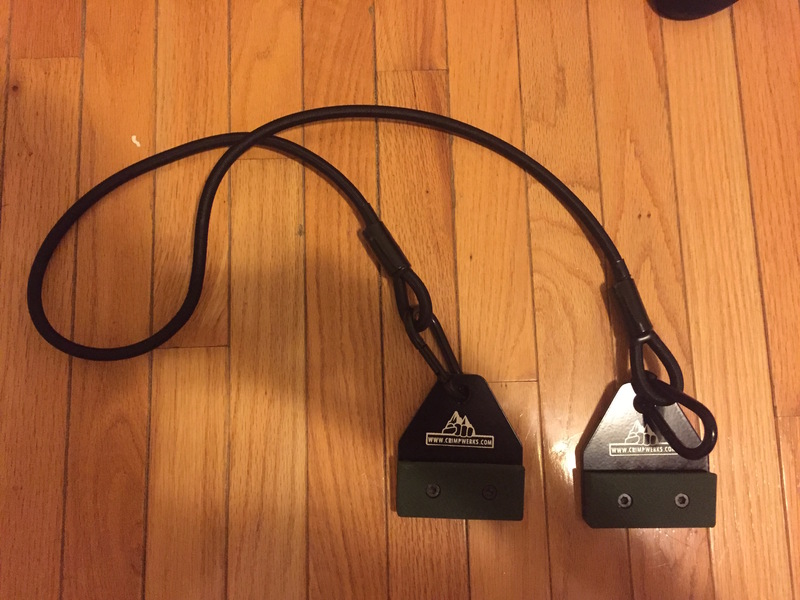 I already had dumbbells and dumbbell hook attachments (typically for dip belts) in my gym that I wanted to utilize as well. 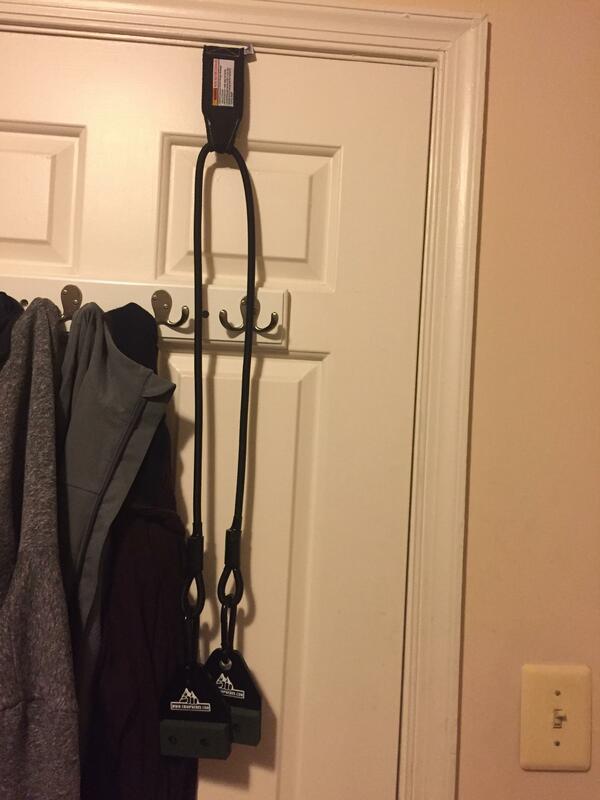 So I unhooked the CrimpWerker from the bungee cord and attached them to my dumbbell hook. Attached it to 55 lbs on the dumbbell and held up for about 10 seconds, never felt like anything was going to fail on me. So far, the CrimpWerker bungee set is everything I was hoping for. 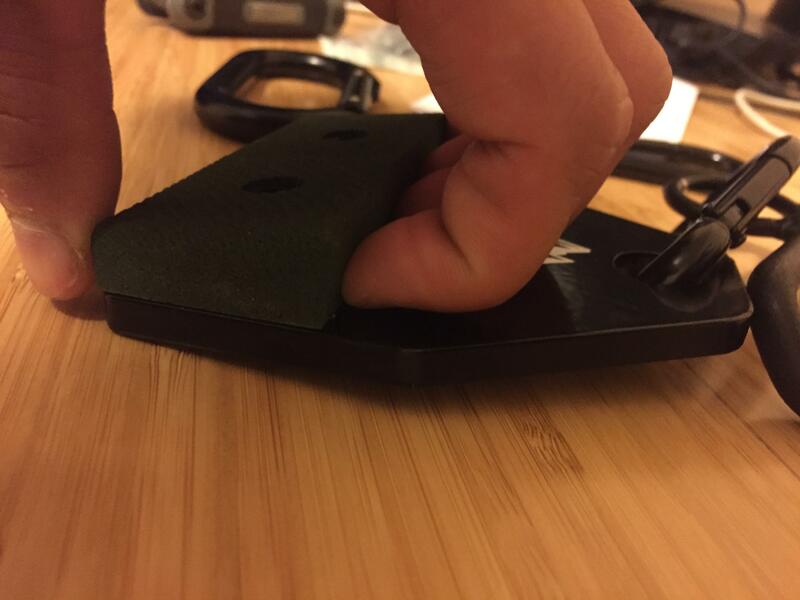 I’m very excited for a way to measurably track my finger strength progress. I definitely don’t plan on replacing my climbing with these, but I appreciate the ability to work on my finger strength at home now without using a hangboard, which I believe would cause me more harm than good at this point. CrimpWerkers are isometric resistance training tools designed to strengthen your fingers to grasp small crimp holds while rock climbing. CrimpWerkers fill the finger-strength gap as beginning & intermediate climbers work their way towards advanced training on hangboards and campus boards. Simulate underclings, pinches, gastons, aretes, and conventional crimps. CrimpWerkers increase lockoff strength and endurance in with a variety of sustained isometric exercises. 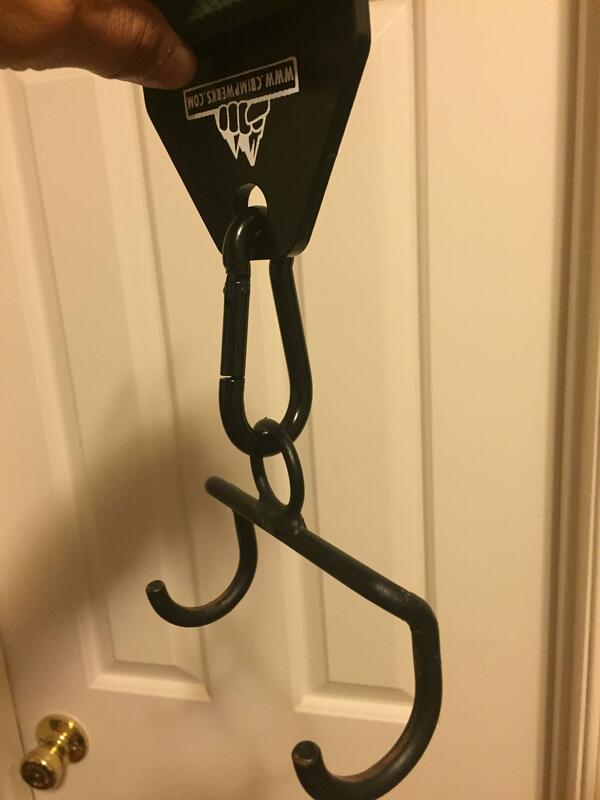 CrimpWerkers plates connect to a variety of resistance training devices, such as a cable weight machines, barbells, slings, or a strong bungee cord (included in the bungee set). Home, gym, campsite or crag. Lightweight and portable, you can use CrimpWerkers practically anywhere. Take it to the crag for an excellent warm up before a tough project, or train at home when you can’t make it to the gym. Sub-bodyweight resistance lets you safely control the amount of force put on your fingers while strength training. CrimpWerkers are perfect for beginners or climbers recovering from injuries.